Microsoft windows comes in a number of different versions. Windows also comes in either 64Bit (x64) or 32Bit (x86) compilations, which will affect different versions of software you choose to install. Some software programs are optimised for 64Bit platforms, and if you have a 64Bit Windows operating system, you should install 64Bit software whenever possible. This tutorial shows how to determine the type of Microsoft Windows operating system that you are running on your computer. NOTE: This tutorial uses Windows 7, different versions of Windows look slightly different, but the process is exactly the same. 1. 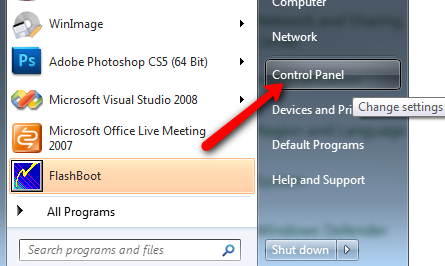 Click on the Windows Start menu, and select Control Panel. 2. 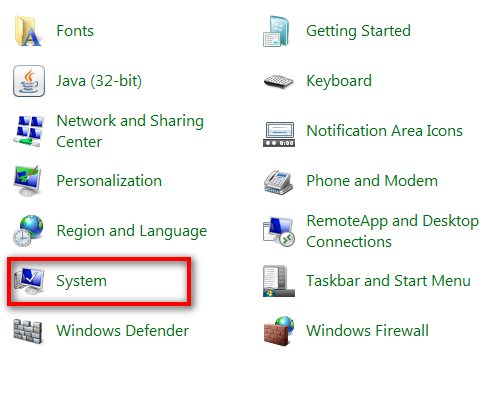 From the list of Control Panel options, choose System. 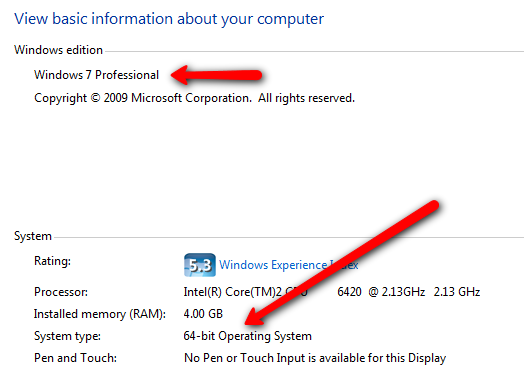 From the System information screen (Sometimes on the General Tab in older versions of Windows), you will find the relevant operating system information as shown. Select your software applications for compatibility with your version of Microsoft Windows.